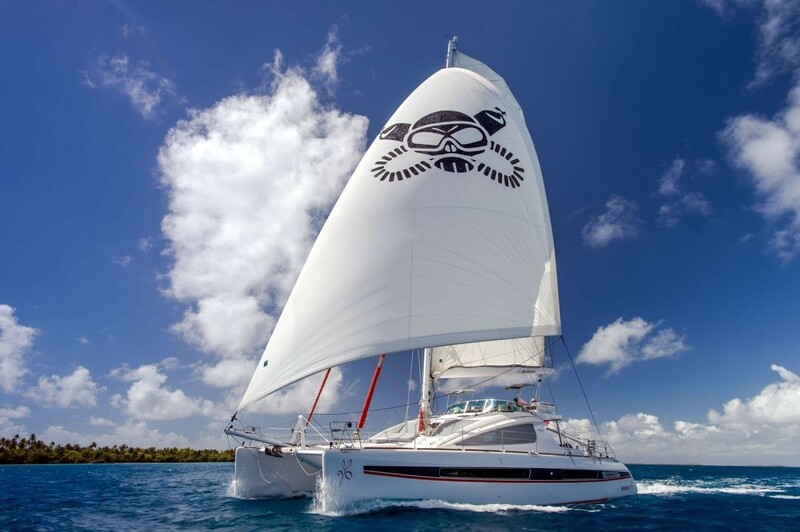 Bella Principessa is a luxury sailing catamaran built in 2009. 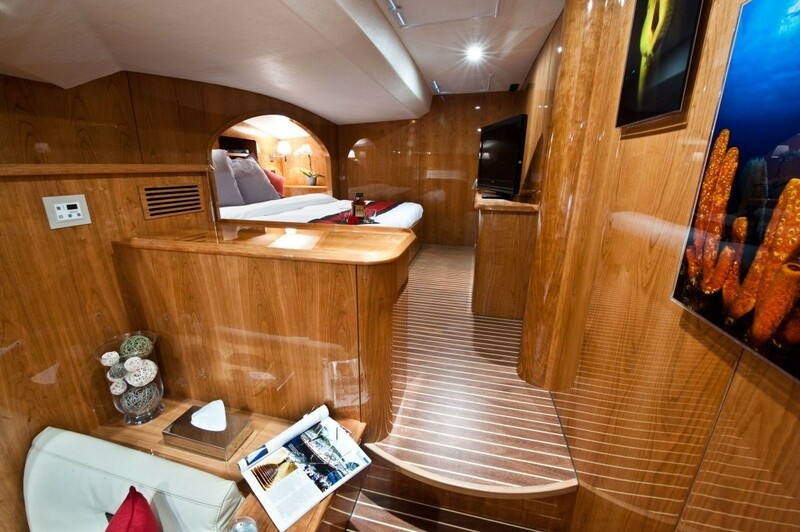 Her unique layout, for this size of yacht, means she can accommodate up to six guests in ultimate comfort and privacy. 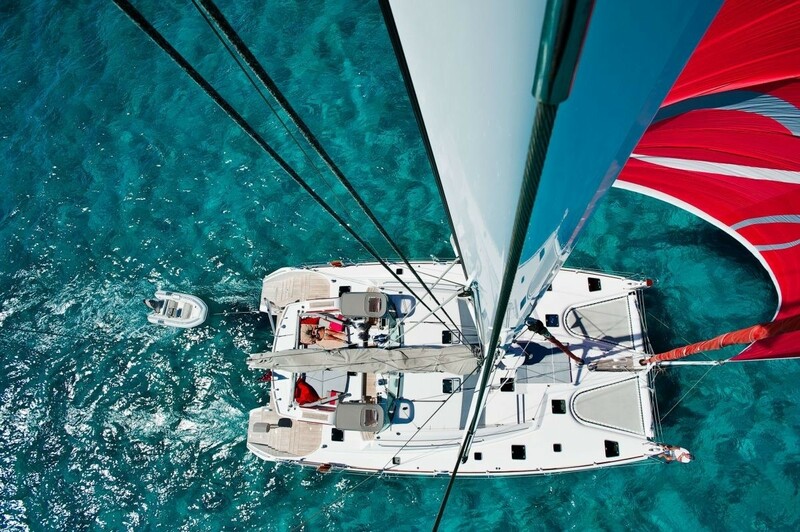 Beautifully appointed, this spacious yacht features a fully air-conditioned and very stylish interior. 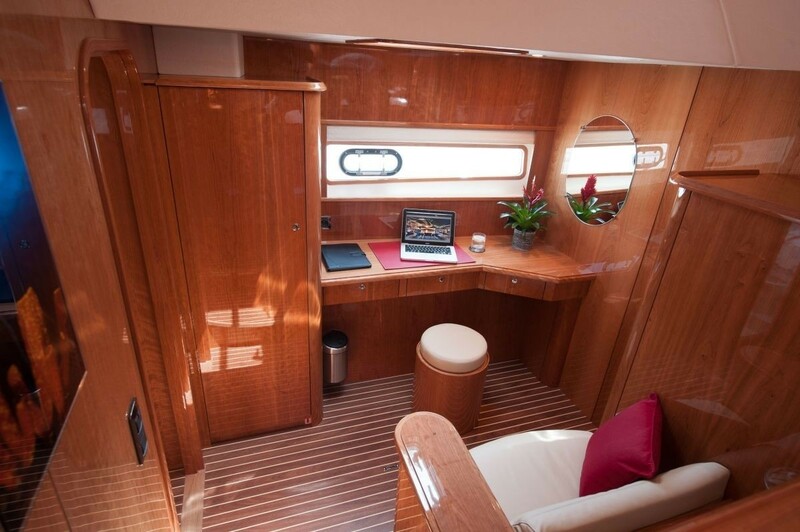 Light and airy Bella Principessa offers guests plenty of room to spread out and relax both inside and out. 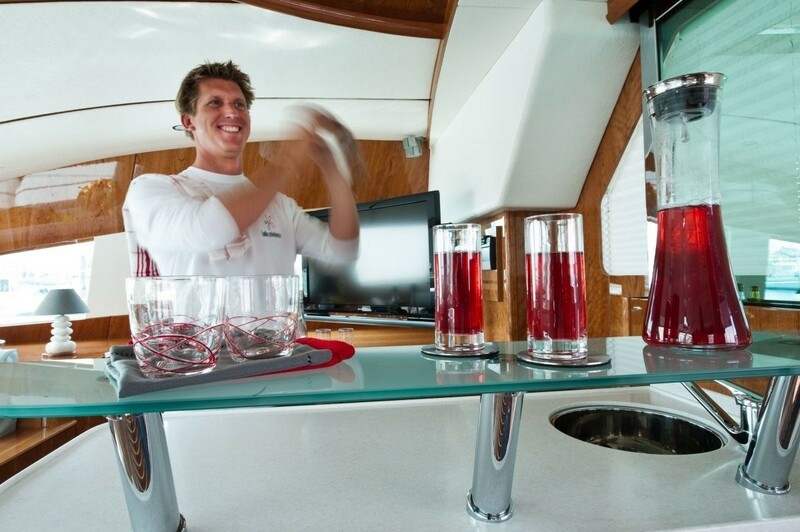 She has formal dining and a lounge area as well as a bar in the Salon. If guests need a break from the warm tropical sun, the salon offers the perfect place to relax in air-conditioned comfort and cool off. 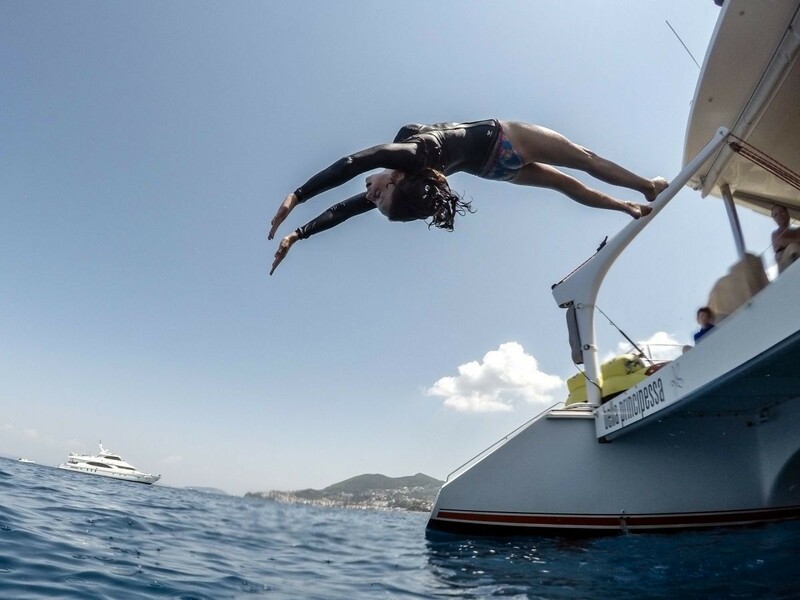 Outdoors, this yacht offers a large protected cockpit with an alfresco dining table and plenty of lounge space for guests to spread out and take in the views. 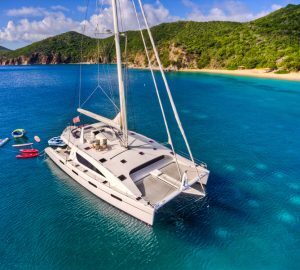 Bella Principessa also has a fabulous flybridge which offers guests a great place to view the crystal blue waters from soft, comfortable sun-pads and even more seating. 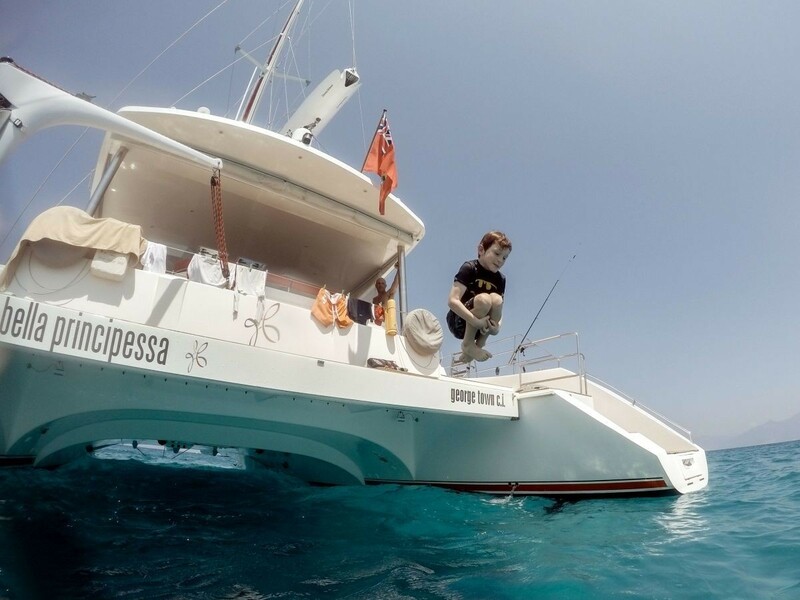 Bella Principessa has a full complement of water toys including water skis, wakeboard, kayaks, sea bobs, snorkel and diving equipment along with an onboard compressor. 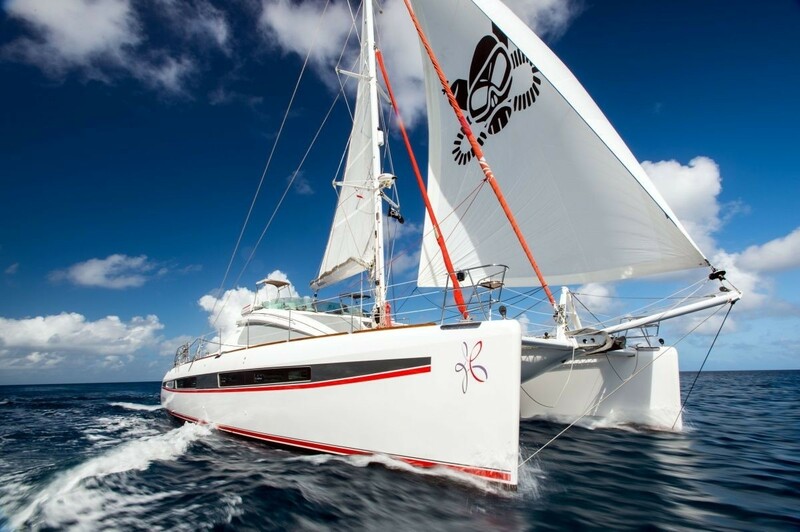 Her professional crew of two are young, enthusiastic and very experienced with the waters throughout the Caribbean. 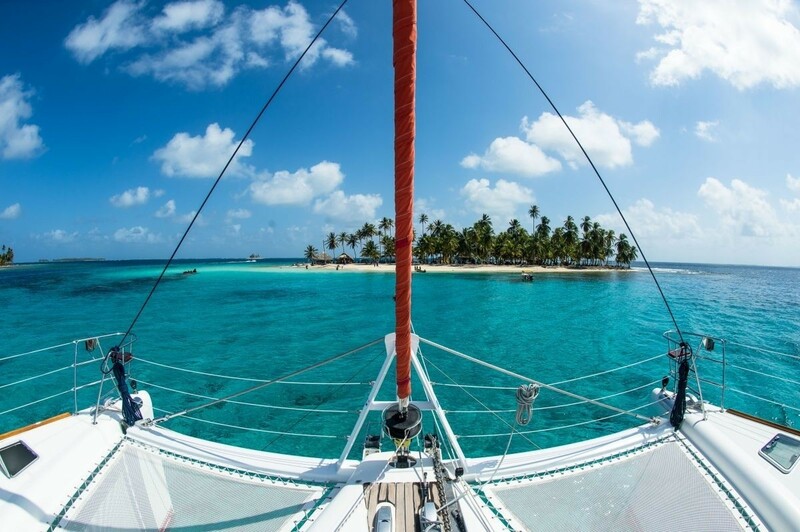 They are on hand to pamper you and keep you safe while guiding you through your dream vacation. 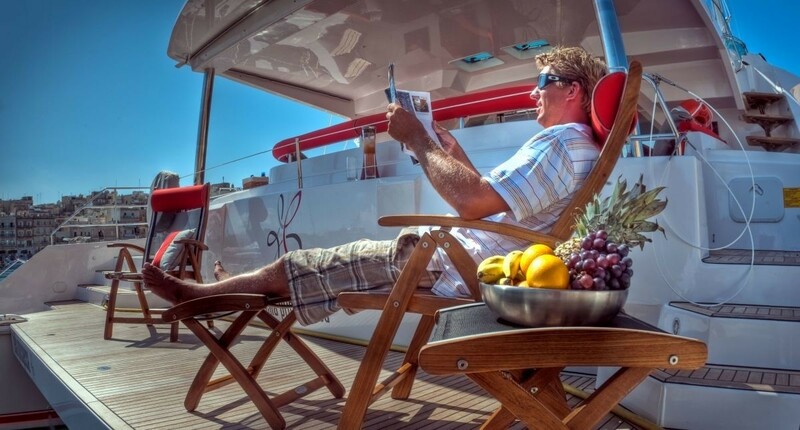 Bella Principessa can accommodate up to six guests in three very spacious and very luxurious cabins. 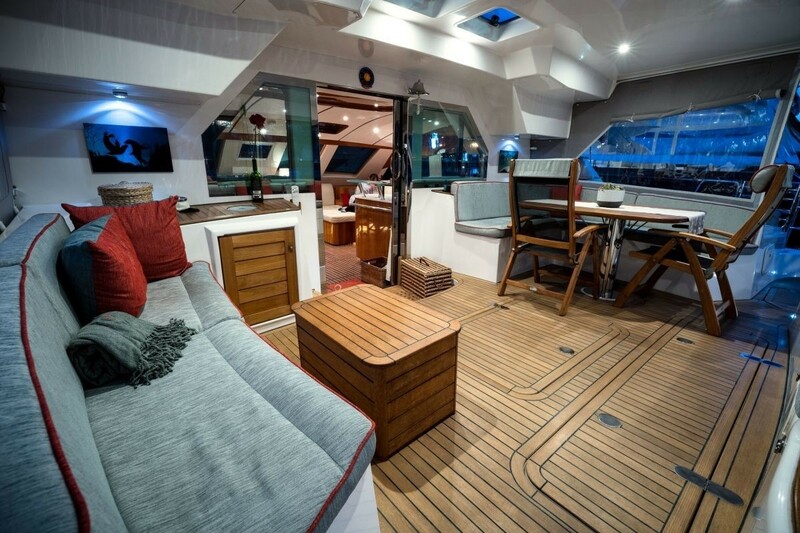 Her master suite is large and spacious and situated in the centre of the yachts. 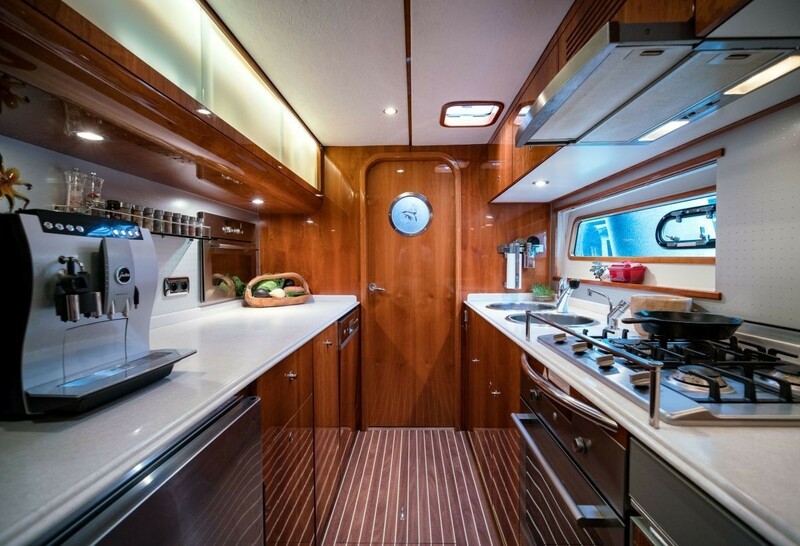 Of course a private ensuite bathroom and Spa shower is accommodated within the cabin. 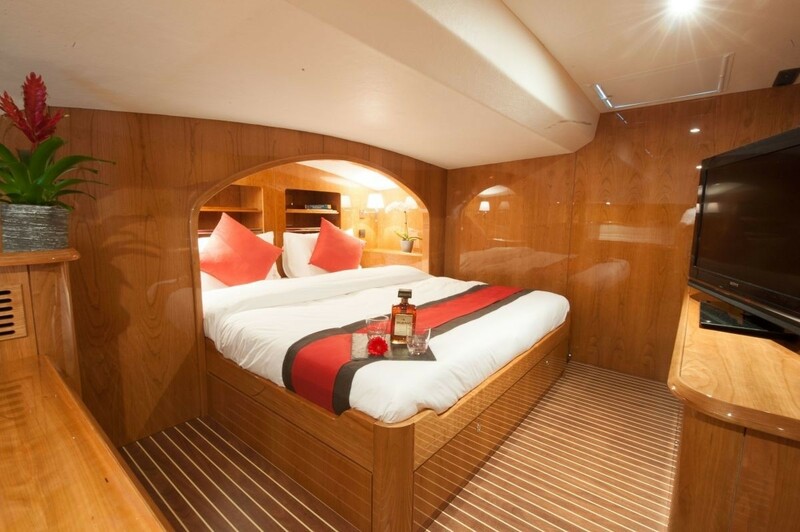 As well as the master suite Bella Principessa has two king size guest cabins, also with private ensuite bathrooms and can accommodate up to six guests in comfort and style. 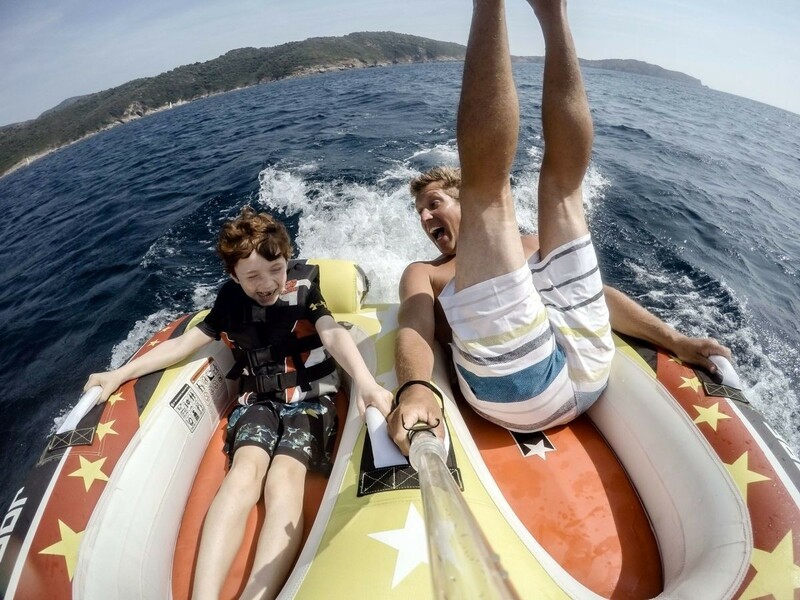 Bella Principessa offers a full complement of water toys including water skis, wakeboard, Kayaks, sea bobs, snorkel and diving equipment along with an onboard compressor.